This show broadcasts on December 20, 2015. Anthony Freda’s 9 – 11 Questions – it’s in the official 9/11 Museum! 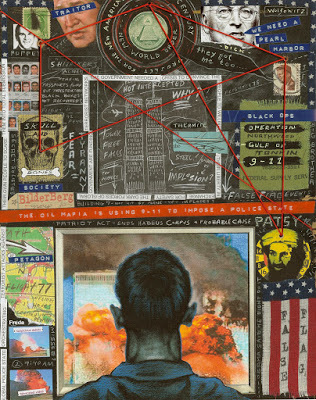 Anthony Freda is the only pro-9/11-truth artist whose works have acquired by the 9/11 Museum at Ground Zero. Second hour: Globalization Studies Professor Tony Hall (U. of Lethbridge) and former US Army Intelligence Officer and counter-terrorism specialist Scott Bennett join us for a debriefing on the False Flag Islamophobia Conference held last weekend in Paris. 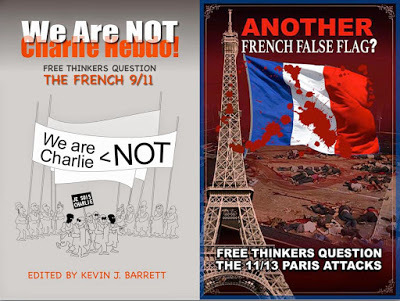 Message from our sponsors: Please help me EXPOSE PARIS FALSE FLAGS IN FRENCH! Visit the GoFundMe page and make a donation, however small, to get We Are NOT Charlie Hebdo and ANOTHER French False Flag? translated and distributed in France and North Africa. The views expressed in this show are the sole responsibility of the speaker(s) and do not necessarily reflect those of the NoLiesRadio.org. NoLiesRadio.org will not be responsible or liable for any inaccurate or incorrect statements expressed therein. This entry was posted on Saturday, December 19th, 2015 at 12:32 am	and is filed under 9/11, Anti-War, Censorship-Propaganda, Death Squads, Education, Freedom, Geopolitics, Justice, Kevin Barrett, News, Protest, War Crimes. You can follow any responses to this entry through the RSS 2.0 feed.